Nokia’s first entry was modest - the Nokia 6110 introduced Snake to the world. But it was with the Nokia N-Gage that the Finns seriously tried to challenge Nintendo. Let’s see how well they did. In the red corner, the N-Gage has what came to be known as the “taco” form factor. The D-pad on the side was a nice touch, but the buttons on the right were uncomfortable to use. The phone supported multiplayer over Bluetooth and the Internet. Yes, this was a Symbian phone with all the communication skills that entailed. It even had a decent selection of games to choose from. In the blue corner, the Game Boy Advance had a larger screen (though its CPU was wimpier) and much more comfortable controls. It could do multiplayer too, over the GameLink cable (a wireless adapter was available). The winner: The Game Boy Advance. It went on to sell tens of millions of units over almost a decade while the N-Gage fizzled out within a year. Sony also wanted to challenge Nintendo in the portable market. 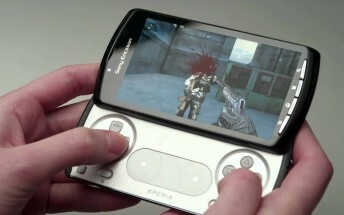 The PSP didn’t quite cut it, so the company had the same idea as Nokia - combine a console with a phone. 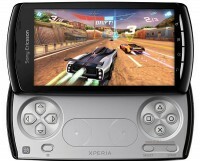 The Sony Ericsson Xperia Play was a slider with physical controls that put it leagues ahead of touchscreen-only gaming. No analog joysticks, unfortunately, and worse - this was at a time when Xperias lagged behind the Android competition in terms of processing power. The PlayStation Vita had a beefier GPU and a larger AMOLED screen, plus an overall better array of physical controls. The Vita runs proprietary software, which may have hurt the Play. Sony coaxed some large game developers to bring some heavyweight titles to the platform: Call of Duty, Final Fantasy, God of War, Minecraft, Assassin’s Creed were all available. Unfortunately, those weren’t compatible with Android and Sony’s mobile division had much less pull than Sony Interactive Entertainment. This meant there was little dedicated content for the Xperia Play. A popular use for it was emulators, the hardware controls made it great for old school games. The winner: None. Both devices failed to live up to expectations and neither has gotten a sequel. Let’s jump to today. 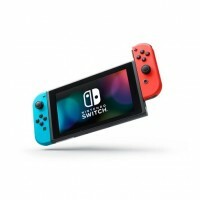 The Nintendo Switch is a massive success, washing away the disappointment of the Wii U. It’s essentially a tablet with wireless controllers that can dock to its side or be used as motion controllers. It’s even powered by an Nvidia chipset, even though the GPU maker bowed out of the mobile field. The Asus ROG Phone also has accessories, including hardware controls and even a second screen to turn it into something like the Nintendo 3DS. Where the Xperia was a console-like device, the ROG traces its heritage to PCs - gaming PCs. This means it has a high refresh rate screen, a binned chipset for higher clock speeds, air cooling and even a dock to hook up a desktop monitor, keyboard and mouse. This power advantage is a double-edged sword, however, if all goes well this phone will have a successor next year. Frequent releases of newer, more powerful hardware is par for the course for PC gaming (and even more so for smartphones). Consoles, including the Switch, are designed to last many years. The winner: Nintendo Switch. It is admittedly early in the lifecycle of the current gaming smartphones, but Nintendo’s profits have skyrocketed since the Switch launched. 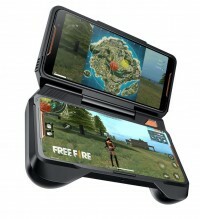 Gaming phones (the ROG, the Razers, Black Sharks, Red Magics and others) aren’t boasting record sales. Not yet, anyway.